Spend the day swinging your clubs, networking, enjoying great food and beverages - all to benefit local charities! 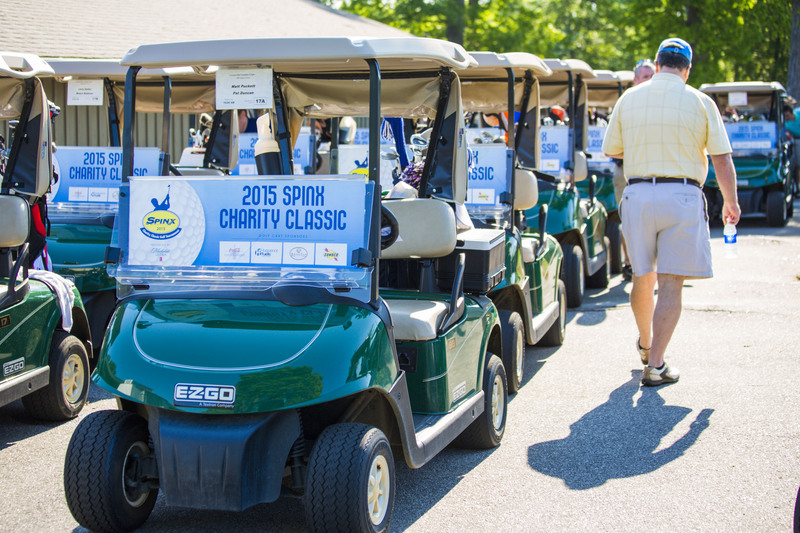 Join us for the 2015 Spinx Charity Classic on Tuesday, May 5th, 2015 at the Greenville Country Club's Chanticleer and Riverside greens. The Spinx Charity Classic is an annual tournament open to the public for tournament participation, however, the event is closed to spectators. Join Spinx executives, associates, business partners, and local community leaders in raising awareness and funds through an enjoyable day on the greens. Since its inception in 2000 the Spinx Charity Classic has given back nearly $900,000 to charities aligned with its corporate charitable mission, "Spinx & Kids! Mind, Body, Spirit. Growing healthy kids where we live, work and play!"